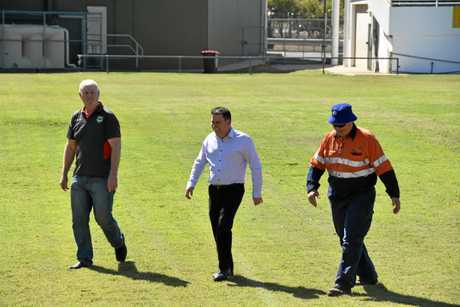 GLADSTONE'S bid to host an NRL match next year entered a crucial juncture today with an NRL representative inspecting the facilities at Marley Brown Oval. 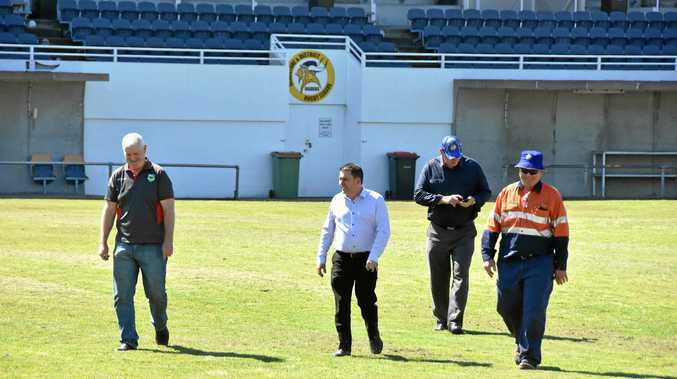 NRL general manager of football, venues and broadcaster relations Shaun Wendt, was joined by Gladstone Region mayor Matt Burnett, Gladstone Rugby League president Richard Duff and GRL operations manager Peter White to run an eye over the venue. 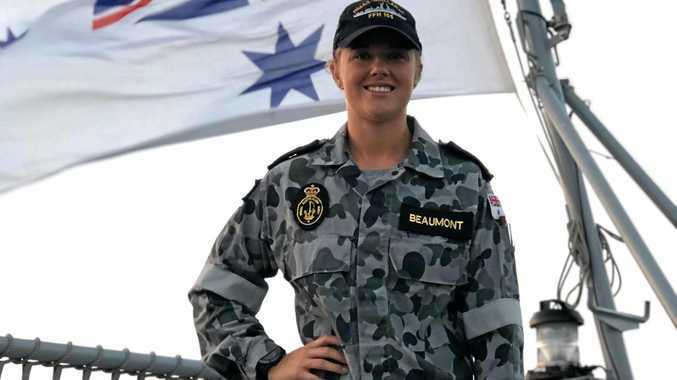 Cr Burnett has been in discussion with an NRL club since July, believed to be the Gold Coast Titans, in an effort to bring a regular season NRL match to the region. Marley Brown Oval was used to host an Intrust Super Cup match earlier this year when the CQ Capras played Northern Pride on May 27. 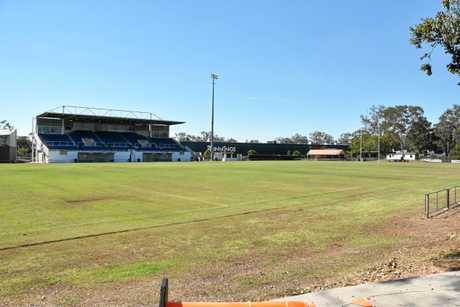 It's understood Gladstone is in a three-way battle with Toowoomba, Sunshine Coast and Rockhampton for the right to host one of two NRL games set for regional Queensland. Cr Burnett said it wouldn't take much work to bring Marley Brown Oval up to scratch for an NRL encounter. "All that really needs to be done at Marley Brown is the top dressing of the field, I think the field is already of a decent standard to play,” Cr Burnett said. "Our lighting facilities aren't up to standard for a Friday or Saturday night game, but I believe we have the facilities for a Saturday or Sunday afternoon game. "We do have our funding through Works For Queensland to upgrade the facilities and we'll be getting onto that as soon as possible regardless of whether the game comes to Gladstone or not. "These facilities need to be upgraded and it's going to be fantastic, but we do want them open in time in case the game happens to come here. While Cr Burnett wouldn't officially confirm the Titans as the NRL club in question, the timing of the fixture would likely coincide with the 2018 Gold Coast Commonwealth Games to be held from April 4-15. The Titans' home ground, Cbus Super Stadium at Robina, will be out of action during this time as it hosts the Rugby 7s tournament at the Games. The Titans' affiliation with the CQ Capras also suggests the Gold Coast club are browsing for alternate home venues during April of next year. 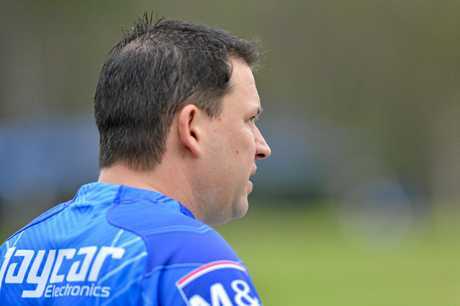 "We are continuing to meet with the NRL and the particular club we've been speaking about in recent months to see if we can secure that game next year,” Cr Burnett said. "People are starting to work out what club that may be but that's okay. Cr Burnett pointed towards regional towns in New South Wales who have hosted NRL games in the past as example as to why Gladstone is capable of doing the same. "We can prove we can do that as well,” he said. "We've played Intrust Super Cup before and pre-season games with Melbourne Storm here a few years ago. GRL president Richard Duff said the NRL were looking "more regionally” to host games and Gladstone's odds of securing a match were about 50/50 if competing with Rockhampton. Mr Duff said the NRL were fully aware of the large rugby league supporter base in regional Queensland and this was a positive for the Gladstone bid. He also mentioned the enthusiastic support the bid had received from Cr Burnett. The 2018 NRL draw will come out earlier this year with an October release likely due to the end-of-season World Cup. The 2017 draw was released in late November 2016.